Why do I write? Why do you read? Is it to be entertained, to learn about other ways of life, to explore new ideas and worlds – to live more widely than you could in a single lifetime? Those are some of the reasons why I write. But there is one more – to illuminate the forgotten lives of women who have contributed so significantly to our world today. You’ll find some of their lives depicted in my books described below. 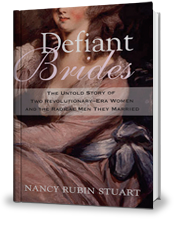 Two wealthy Revolutionary-era teenagers defy their parents and marry political radicals. The first, the voluptuous Boston brunette, Lucy Flucker of Boston, wed poor bookbinder, Henry Knox. The second, the beautiful blonde Philadelphia belle, Peggy Shippen, weds military hero Benedict Arnold. Their lives are changed forever. One bride becomes a patriot – and the other, a spy. Mentored by John Adams, Mercy Otis Warren was America’s first woman playwright and female historian of the American Revolution. 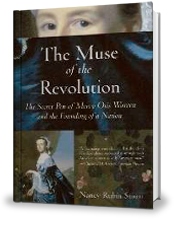 This award-winning biography illuminates the life of one of America’s forgotten Founding Mothers and reveals how Warren’s provocative writing spoke for the voiceless women of the late eighteenth century. A dramatic account of the 19th century teenage who co-founded spiritualism and dallied with a famous Arctic explorer which reads like a soap opera. 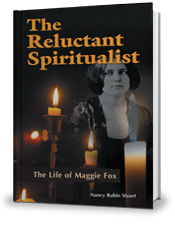 Today Maggie’s impact upon spiritualism still resonates with those who practice channeling, visit mediums or ponder the possibility of life after death. This best-selling book traces the glittering life of one of America’s most glamorous and generous heiresses. Dubbed the Duchess of Washington, D.C. and the Queen of Palm Beach, Marjorie Merriweather Post hobnobbed with monarchs, American presidents, first ladies, senators and diplomats. 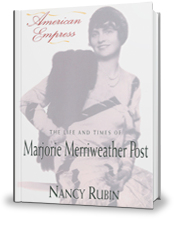 American Empress traces her rise from middle-class Midwestern roots to the pinnacle of America’s high society. Queen Isabella was one of the most fascinating monarchs in European history — a passionate lover to her husband Ferdinand of Aragon, co-conqueror of the Muslims of Spain, sponsor of Columbus on his Atlantic journey, admirer of the Italian Renaissance and initiator of he Spanish Inquisition. 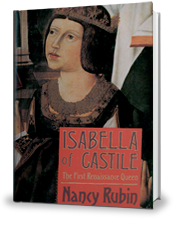 Like many contemporary women, Isabella was torn between her official duties, her marriage and child-rearing concerns. Was she a visionary, a saint or a she-devil? Should a mother stay home with the children even though that means less family income? Take a “mommy track” job? Or focus upon career advancement while placing her children in day care and after-school programs? Should she postpone pregnancy until her late 30s or early 40’s – understanding that fertility drugs, in vitro pregnancy or surrogate motherhood may be in the offing? 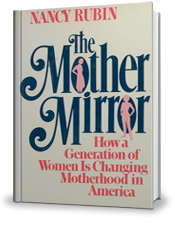 The answers are as challenging today as when The Mother Mirror was first published. The suburbs, which relied upon cheap fuel and free womanpower, changed rapidly during the 1980s as revealed by interviews with 400 women across America. 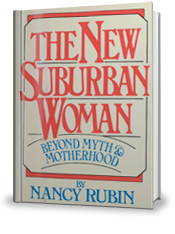 Composed as suburbs were evolving from traditional sanctuaries of home and hearth into residential enclaves surrounded by vibrant business centers, The New Suburban Woman captures the evolution of the traditional American dream.